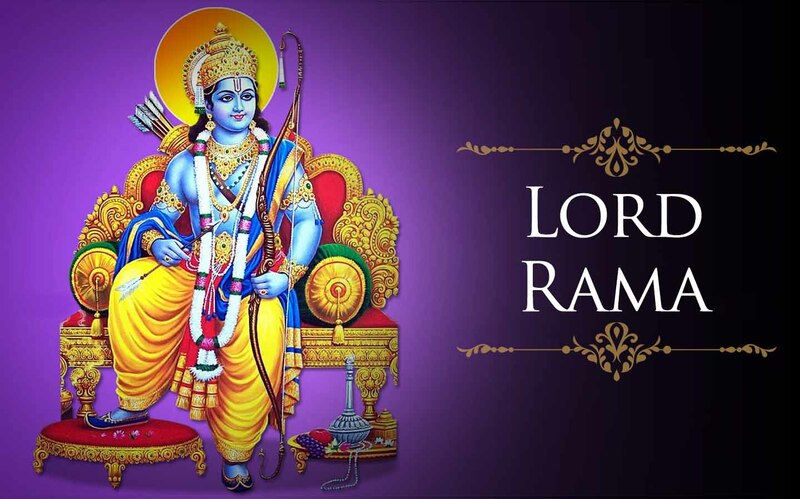 Lord Rama myth or truth ? Maharishi Valmiki wanted to write a historical epic which can act as a guiding principle for future generation. He was in dilemma over this issue. When he consulted Narada Muni. Narada Muni then suggested Valmiki to write about Rama, son of Dasaratha who was born in the clan of Raghu. Here one should remember that Valmiki wrote Ramayana long after the period of Rama. This fact goes contrary to the prevalent legend that Valmiki wrote Ramayana before Rama was born. This fact has been very well stated in Valmiki‘s Ramayana. Similarly, Mahakavi Kalidas wrote Raghuvansham. This books throws light on the lineage of Raghu and also states various kings who ruled after Rama. So, now the point of the argument is that if Rama was a mythological character than how Valmiki could provide a history of forefathers of Rama? Whereas in Raghuvansham how Kalidasa has provided details of forefathers of Rama and his various Santis (successor) who ruled after him. In present times various books dealing with stories of Rama are prevalent in India and around the world. We will throw light on this issue in the latter part of this article. The burning topic in present times is, when was Rama born? Before dwelling on this point, first of all, we have to understand that our great Maharishies has systematically divided the period of shristi in Manvantars. Each Manvantar is furthur divided into chaturyugis. Each chaturyugis consist of Krita(satyuga), traita, dwapar and kaliyuga. Present Manvantar is Vaivast Manvantar. Already 27 chaturyugies of this Manvantar have passed. This is the 28th chaturyugi and first, charan(period) of this chaturyugi is in continuation. It is well-known fact that Rama was born during the latter part of traita. Hence, if we assume that Rama was born in the present chaturyugi then it means he was born at least 10,00,000 years ago. The period of his birth may be more than this. However, Vayu Purana provides us the correct chronological period of Ramayana. If we take Vayu Purana period into consideration then a period of Rama goes to at least 1,80,00,000 years back. Hence we can easily conclude that the period of Rama is at least 10,00,000 years to 1,80,00,000 years(this issue will be resolved in another topic “Blunders of Indian History”) . This view is also supported by the fact that when Hanuman went to Lanka in search of Sita, there he saw elephants having four teeth. Hence this is now for archeologist/biologist to ascertain when did such elephants existed on earth? (The calculations of chaturyugies will be dealt in another topic “Age of present shristi”. Whereas difficulties encountered in establishing chronological correctness of historical events for a period before Christ will be dealt with in “blunders of history” ). Another interesting fact that has been mentioned in Valmiki Ramayana is that the paternal home of Bharat and Shatrughan was in a country where the mode of transportation was vehicle being carried by dogs or deer. When both the brothers returned to Ayodhya from the maternal home they crossed many places covered by snow and were wearing woolen clothes. Which place does this episode points to has to be ascertained? By our logic, it is Russia, as phonetically Russia sounds like a misnomer of Rishi (this has been established in our article blunder of Indian/World history) Above mentioned facts clearly give us an insight into the period when was Rama born. So those who claim that Rama is only a mythological character we are providing them some more proofs which will establish that before the advent of Christianity and Islam Rama was revered throughout the world as an international cult figure. The Deccan Herald, dtd 15 Dec 1972, at its front page gave news which states that in Elista, capital of Kalmyk in Russia, story relating to Ramayana had been published. The news further state that various legends of Ramayana are popular among people of Kalmyk. Various version of Ramayana is already stored at libraries in Kalmyk. The news clearly states that legends of Ramayana are very popular since time immemorial. Domonic Suren, a Russian writer, has compiled various legends popular among Mongolian and Kalmyk peoples. Prof C F Glostunky‘s manuscript ‘Academy of sciences’ is stored at Siberian Branch of erstwhile U S S R. That book deals with various legends popular along the coast of Volga river. This manuscript is in Kalmyk language. In Leningrad also various books dealing with stories of Ramayana in Russian and Mongolian languages are preserved. In China, a collection of Jatak stories relating various events of Ramayana, belonging to 251 AD. were compiled by KANG_SENG_HUA. Another book, of 742 AD, relating the story of the plight of Dasaratha after Rama was ordered to go for Vanvasa is still found in China. Similarly, in 1600 AD, His-Yii-Chii wrote a novel with title Kapi (monkey) dwelling on the stories of Ramayana, predominantly that of Hanuman. Naresh Kumar Dhatusena alias Kumardasa, who ruled Srilanka in 617 AD wrote ‘Janakiharan’. This is the oldest Sanskrit literature available in Srilanka. In Modern times C Don Bostean and Jhon d‘silva have written stories based on Ramayana. Till today the majority of population adore and revere Rama and Sita. According to De Casperis, there was a temple named ‘Chandi loro jongrong’ which have stories of Ramayana engraved on its wall. This temple was of 9th century AD. In Indonesia, another version of stories of Ramayana named Kakawin is very popular. This story was a bit different from that of Prambanan. Besides that various, another version of Ramayana stories was very in early centuries after Christ which itself proves that Ramayana was very popular among Indonesian people before the advent of Islam. It is also an astonishing fact that the first international convention on Ramayana was organized in Indonesia a few years back. Local people when pronouncing Laos in their language it phonetically sounds like the name of one of the sons Rama. Besides the temple of Vat- she-fum and Vat-pa-Kev remains depicts the story of Ramayana on their walls. Whereas temples of Vat-pra-kev and Vat-sisket are having books containing epic of Ramayana. Lafont, French traveler translated story of ‘Pa laka-Pa lama’ in his book named P‘ommachak in French. This book also deals with the story of Ramayana popular among masses of Laos. Stories of Ramayana are still very popular among masses. In the early centuries after Christ, many kings have Rama as either prefix or suffix in their name ruled this country. Just like as in India we organize play of Ramayana, similarly, various dramatic version or Ramayana are organized in Thailand till today. A similar dramatic version of Ramayana are still organized in various south east Asian countries like Indonesia, Malaysia, Cambodia, etc. In Malaysia till today plays are organised based on the stories of ‘HIKAYAT SERI RAMA’ , written in 14 century AD,. Dalang society organizes nearly 200-300 plays relating to Ramayana. Before commencement of the play, people conduct various prayers and ablutions revering RAMA and SITA. 1112 AD; regarded himself as a descendant of a clan of Rama. Various books relating to the stories of Ramayana as earlier as 15 century AD are still found in Burma. Books like ‘Kavyadarsh’ , ‘Subhasit Ratanidhi’ are based on the stories of Ramayana. Zhang-Zhungpa, commentary of Ramayana was written by Taranath, which is not available in modern times. In Burma also a various form of plays are conducted based on the stories of Ramayana. The oldest version of Ramayana, belonging ot 1075 AD is still found in Nepal. Effect of stories of Ramayana can easily felt in the customs, traditions, and legends of the majority of masses. Prof Juon R Francisco found that in Marineo Muslims, a legend based on Ramayana is popular, in which Rama has been depicted as Incarnation of God. Similarly among Maguindanao or Sulu folk Muslims also various legends based on the stories of Ramayana are popular. In Hyderabad city, the capital of Andhra Pradesh, there is a museum name Salarjung. There one portrait which is depicting a burly monkey having a very big stone in its hand. This portrait reminds one of Hanuman holding Dronagiri. Similarly, Marco Polo in his book (translated by Sir Henry Yule in English) wrote at page no 302, vol II about a peculiar belief among Muslims, spread from Afganistan to Morocco and Algeria. These Muslims believed that members of the imperial house of Trebizond were endowed with short tails while medieval continentals had like stories about Englishmen as- Mathew Paris relates….;. We are of the belief that if one seriously start investigating various legends prevalent, before the advent of Islam and Christianity, in Arabic countries and European countries than the existence of Ramayana and Mahabharata can be proved. Due to barbaric and dogmatic acts of these peoples a wide range of literature and buildings of historical importance has been wiped out. In Italy, when excavation was carried out in the remains of Astrocon civilization, then various houses were found having a peculiar type of paintings on their wall. These paintings, on closure investigation, seems to be based on the stories of Ramayana. Some of the paintings show peculiar persons having tails along with two men bearing bows and arrow on their shoulders, while a lady is standing beside them. These paintings are of 7 century BC. It should be remembered that once Astrocon civilization was spread over 75 pct of Italy. Sir Henry Yule in his translation of works of Marcopolo has referred to the belief prevalent among Medival Europeans that their Ancestors were having small tails. The same fact has been referred by Maharishi Dayanand in his magnum opus ‘Satyarth Prakash’. There Swamiji state that people of Europe were called as Vanaras (monkeys), due to their appearance in our epic like Mahabharata, Valmiki Ramayana, etc. If we analyze this statement in the present context, then how we are going to define various statements like kangaroos(Australian team) meet men in blue(Indian team) at Calcutta. Similar sort of epithets was used during World war to describe armies of different countries or else we see that we have helicopters named cheetah etc. As these words(epithets) are just a way to describe a different set of people, arms, etc, similarly world like Rakshas, Vanaras, etc was used in our legends. These facts clearly indicate that legends of Ramayana do not work of fiction and were very popular around the world. People of Ethiopia call themselves as descendants of Cushites. This word Cush is basically phonetic misnomer of Kush, the son of Rama. This fact is very established by Satpath Brahamans, commentary on Vedas. These Brahmans while explaining various mantras of Vedas uses many historical events to elucidate the topic. Astonishingly in Satpath Brahman, we find a reference regarding the rule of King Bharata (predecessor of Kaurav and Pandavas) in Rhodesia. Besides many inconsistent legends inspired by the epic of Ramayana are prevalent in African Communities and they basically refer to various activities of vanars. BLUNDERS OF INDIAN HISTORY/WORLD HISTORY. But for your reference, we are providing you some prevalent legends. a) beautiful girl in Mexican tribal area till today are called as Ulopy. If we see in Mahabharata we find reference of Arjuna marrying girl named Ulopy who was the daughter of King of Patal Desh. W H Prescott in his book, ‘ History of the conquest of Mexico’, provides a various reference which proves that earlier civilization of American subcontinent have major similarities with that of Indian (Aryan) civilization. However here we are providing you one reference which clearly states that Ramayana is not mythological epic but it bears historical testimony. According to the writer of the book, there is a popular legend in the Aztec community which states that a beautiful person named Quevtsal Katal came there from the east and taught them various aspects of advanced civilization, as a result, his period was treated as a golden era. He then went back to his original homeland because of persecution by some divine creature. This legends surprisingly does not throw light on the reasons why he returned. Another interesting fact that has been stated by Prescott is that this legend is available in documented form. Now, none except Indian tradition can claim that they bear root to this legend. 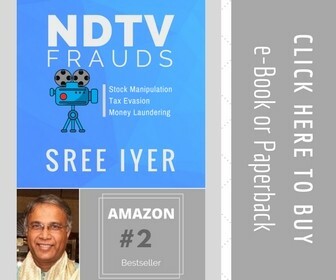 The same story has been narrated in Valmiki Ramayana, in Uttarakhand where it is mentioned that Salkantak Rakshas who dwelled in Lanka were persecuted by Vishnu. Due to this persecution, they left Lanka and went to Patal Desh. The leader of this group was Sumali. According to Ramayana, they lived in Patal Desh for a long time. When they found condition congenial they returned to their homeland. prevalent around the world. Till today play named Ramasitotav is played in various communities of Mexico. To our amazement Rama has been mentioned in the Bible, new testament, Mathew ch 2/18, where it is mentioned “ his voices were heard in RAMA”. Rama is a proper noun there, now it is for biblical society to define who was Rama and why he has been mentioned in the Bible. Even the name of Dasaratha and Ayodhya are there in the Bible. We will be referring to these facts in Blunders of Indian/World History. 1) Why the month of fasting among Muslims is called Ramadhan? 2) Why place in Gaza strip is called Ramallah? 3) Why place in London is named as Ramsgate? We can provide various examples where word Rama has been used as suffix or prefix with the names of various historical places/persons or misnomer of Rama has been used as a name for historical places/persons. None of the historical evidence provides a conclusive answer to these facts unless we take Indian historical evidence into account. In our article ‘ Blunders of Indian/World history, ‘ we will provide proof for it. We also believe that if barbaric religion like Christianity and Islam have not gained popularity than we would have more data to prove our point conclusively. These two Semitic religions have inflicted unparalleled havoc on historical data and buildings. They destroyed all the libraries/monuments of historical importance which does not confer their beliefs. This is for readers to decide by themselves how they are going to treat Rama. We think that we have provided a lot of food for thought. Those who are illogically biased may still refute the existence of Rama while those who are logical and believe that mythological character can never gain such worldwide respect/reverence will start looking upon Rama from wider historical evidence. 2) Ramasetu, on which a lot of controversies is being created, might not be built by Rama as the period of Rama is at least 10,00,000 years. During this time geographical conditions have changed drastically. 3) Valmiki Ramayana is not fiction but an epic based on historical evidence. We can analyze the issue of Ramasetu only on the basis of environmental/economic viability. 1. Ramayan was written by Valmiki, who also took care of Luva, Kusha, and Sita; so it can be aptly called Rama's biography. 3. Bharata's journey from Kekaya (now in around Pak) to Ayodhya (UP) is mentioned as crossing 3-4 rivers, in the sequence, they are today geographically. 4. Saraswati river is mentioned, which vanished 4500 years ago. So Ramayana is at least 5000 years old. 5. Several events (including Rama's birth, Bharata's birth, Rama's coronation, Vali badha, Hanumana finding Sita in Lanka, Army march, Meghanada badha) have been described with the star-pattern in the sky at that time. Putting that in "Planetarium" software gives the exact date and time of those events. 6. Rama's birth date comes out as 10 January 5114 BC. Bharata's date comes as 11 Jan 5114. Ramayana mentions Bharata was born 16 hours after Rama. 7. 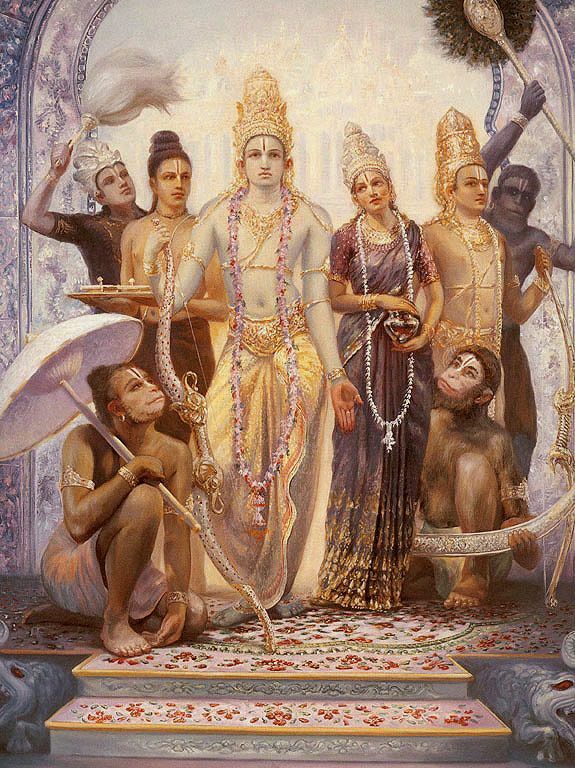 Rama's coronation date comes out as 4 Jan 5089 BC. Ramayana mentions Rama was 25 years old while being coronated. Again, consistent. 8. Khar-Dushana episode describes a solar eclipse and Hanuman finding Sita accompanied a lunar eclipse; both dates consistent. 9. Now (in 2008) Rama Navami occurs at 21 April, adrift 100 days from 10 Jan. It is consistent with the motion of equinox which leads to 1-day adjustment in 72 years, so 100 days in 7200 years. 10. There is literary, geographical, astronomical and local legends around the places mentioned, all supporting Ramayana as history and not mythology. Archaeology is the only thing missing. 11. After 7000 years, easier to find archeological evidence in the sea, than land, like Dwaraka was discovered as an underwater city. 12. The setu was called Nala setu, later called Rama Setu before Muslims and Europeans called it Adam Bridge. 13. The construction of the setu is described in great detail. Linear construction. Length 100 yojanas. 1:10 breadth-length ratio. First woods/trees on a rock bed, then rocks, etc. Moving aside the accumulated sand, we may get to the wood region, probably carbonated now (can give accurate date). 14. Many kings on both Lanka and Indian side were called Setupati or similar names. Many coins on kingdoms of both sides have "setu" written on it. 15. Al-Biruni describes places like Kishkindhya in his book. Marcopolo mentions Ramasetu. 16. Madras presidency manual 1902 mentions that Ramasetu was used as footbridge till 1480 when a storm destroyed it. 18. Today this waterway is on average 2 meters below water. It should be 1 meter above water originally. Oceanography tells, roughly 9 ft rise in sea level in 7000 years.